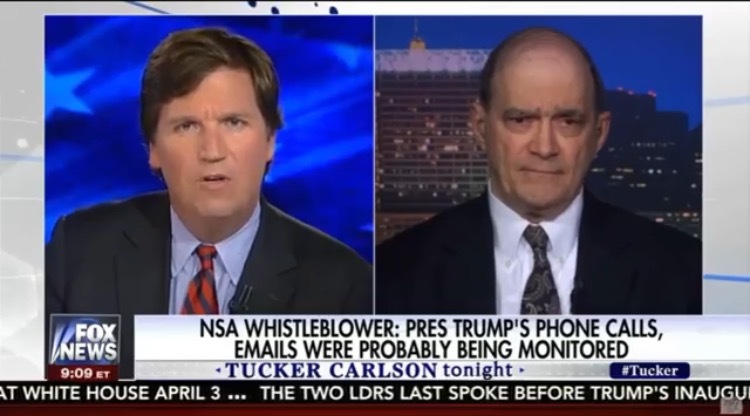 WOW Tucker Carlson Bomshell Interview With NSA WhistleBlower Who Said "Trump Was Absolutely Right About Wireptapping"
30 year veteran of the NSA and whistleblower, Bill Binney appeared on Tucker Carlson last night. He dropped a bombshell when he told Tucker that the NSA spies on every branch of government on a daily basis. This bombshell revelation really exposes the level of corruption we are dealing with inside of the NSA. The Feds did their best to ruin Binney’s life after he stood up against the NSA and exposed the illegal spying. We need more Patriots like him who are prepared to stand up and expose any illegal activity that they see within the government.